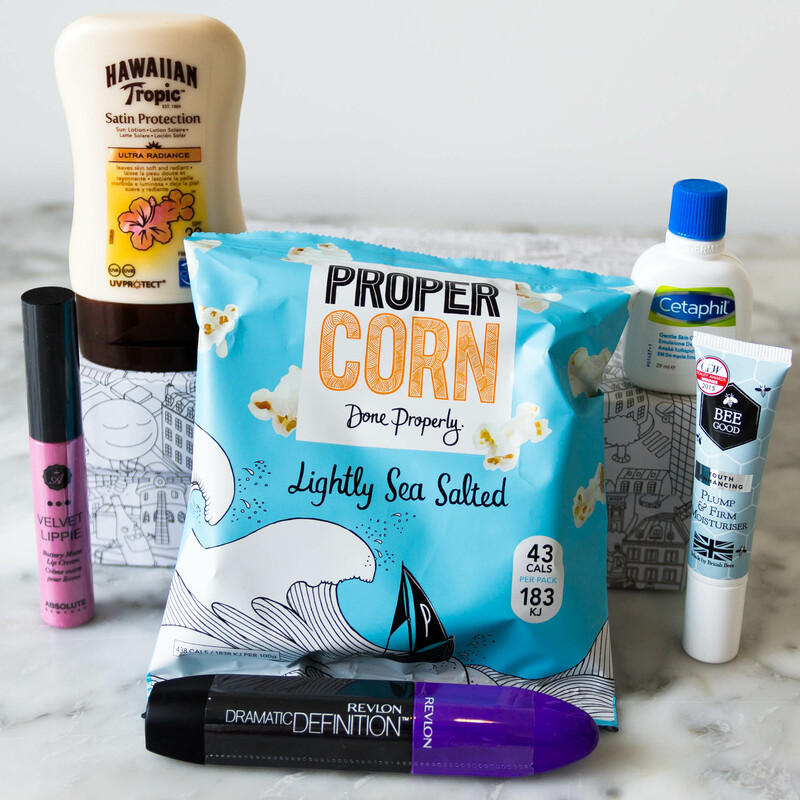 My Glossybox UK May 2016 subscription has just arrived and is full of some beautiful products and samples – 5 in total as well as a packet of pop corn! The box design this month is rather cool, I am loving the artwork! Inspired by city breaks the boxes are dedicated to 4 different cities, London, New York, Berlin and, as you can see I received, Paris. 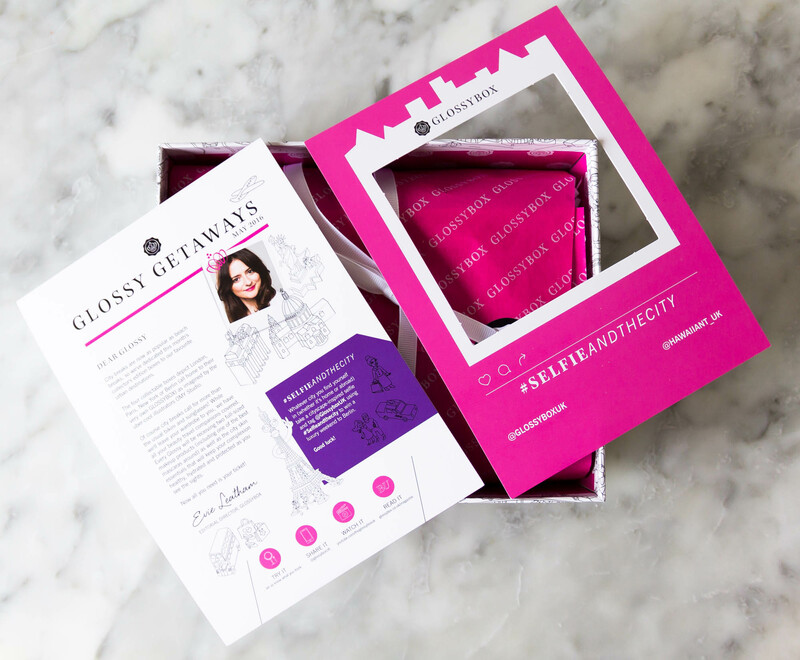 The box if full of different useful items for on your travels, with everyone receiving 2 full sized products. There is also a little Instagram selfie competition to enter. 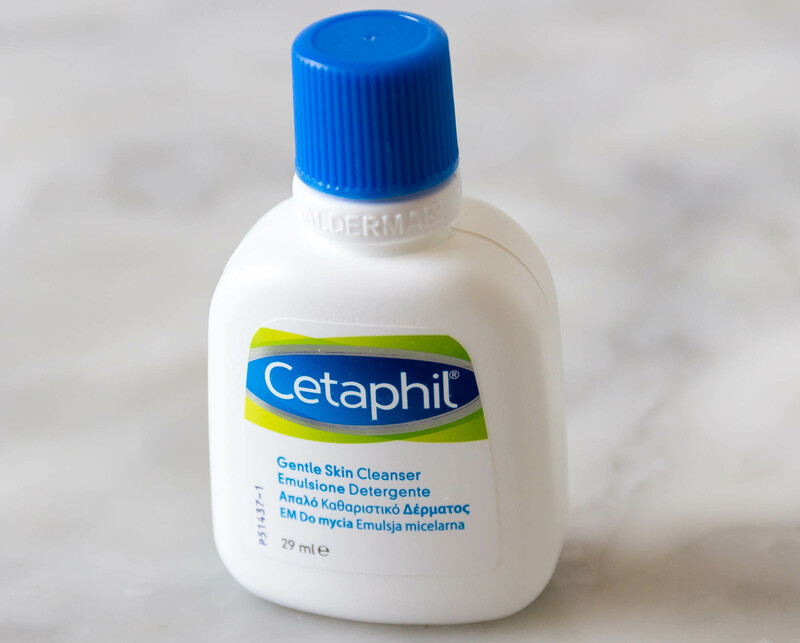 In the box is the Cetaphil Gentle Cleanser – sample size 29ml. Full sized £5.99, 236ml available at Boots. 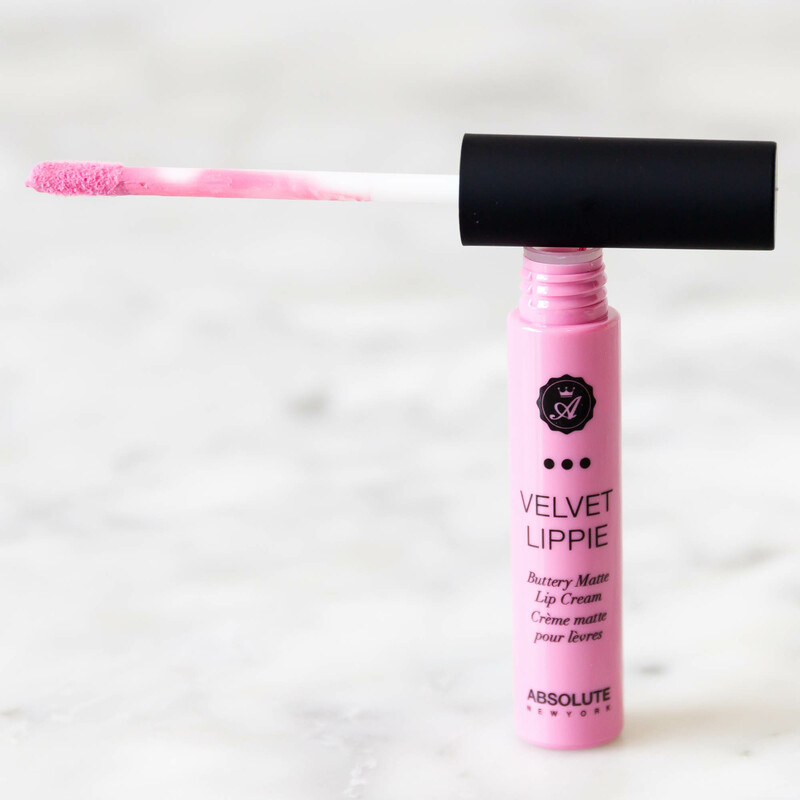 Second is the Absolute New York Velvet Lippie – full size, £4.93. 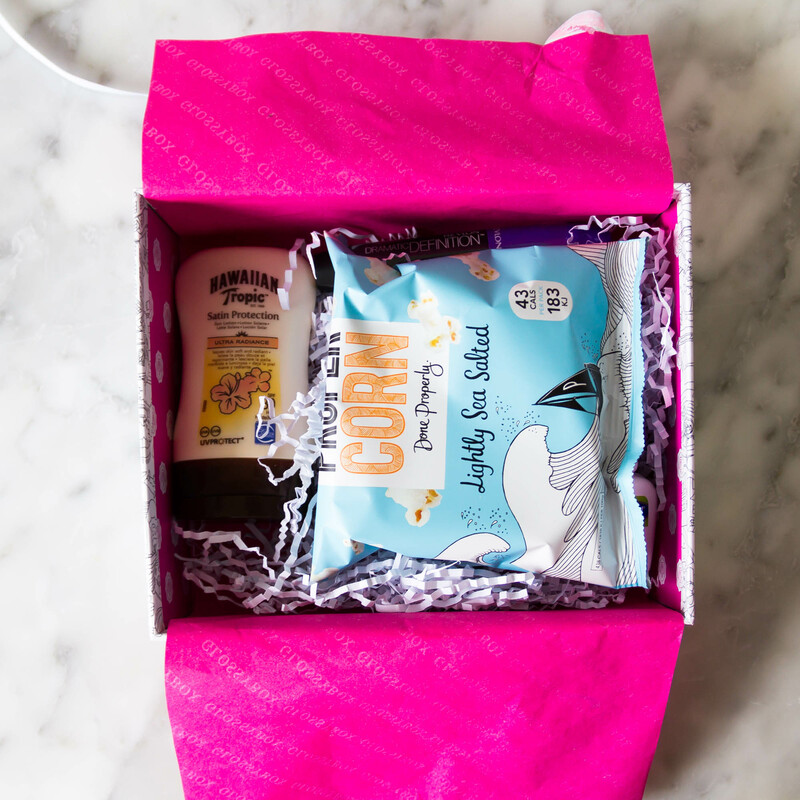 There was also a packet of the Lightly Sea Salted Proper Corn Done Properly popcorn, great for on the go, only 43 cals and also made in Britain. 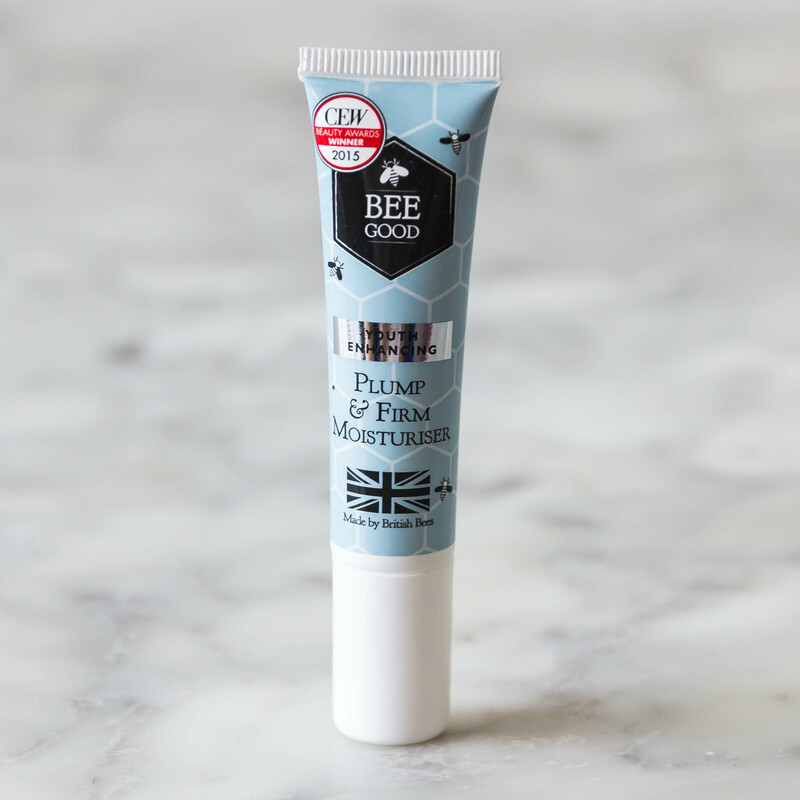 Bee Good Youth Enhancing Plump & Firm Moisturiser in a sample size makes it perfect for travelling. Recieved 15ml, Full size – 50ml, £23.50 at LookFantastic. 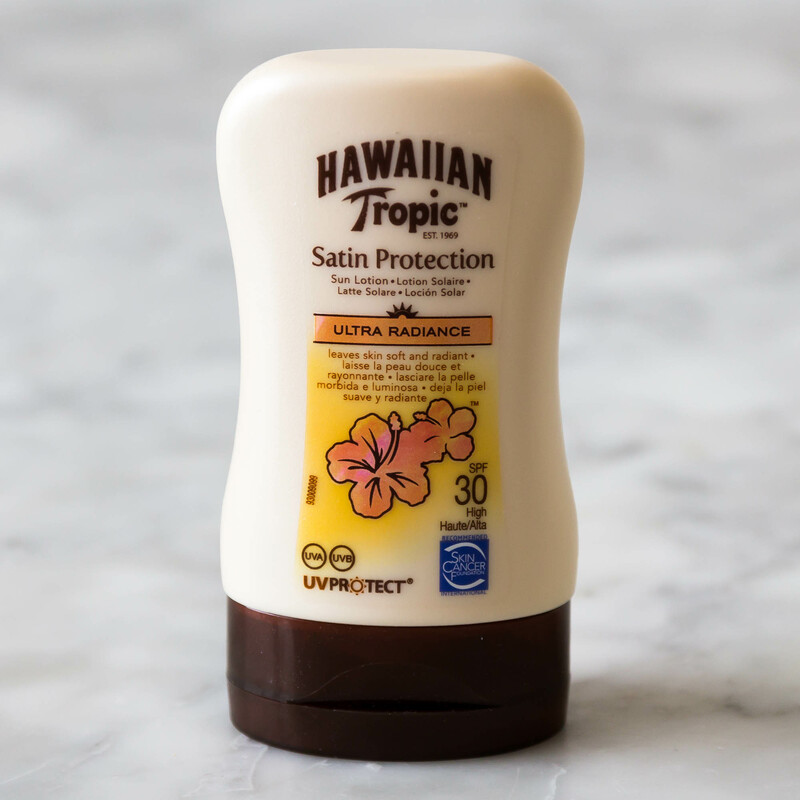 Perfect for hot holidays – Hawaiian Tropic Satin Protection SPF 30. Sample size 100ml (great for flights) – same size at Boots – £5.99. 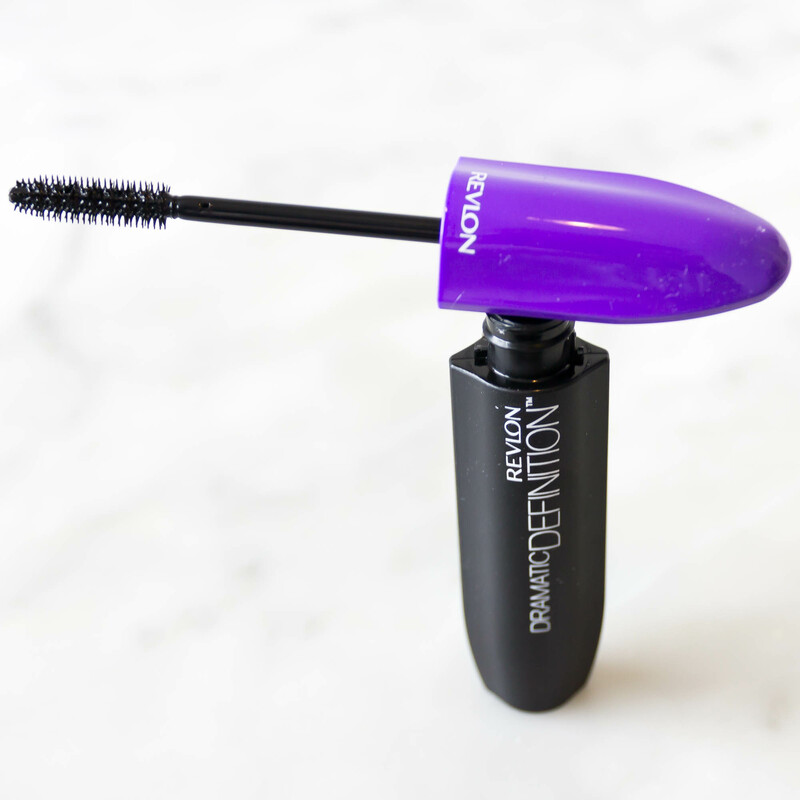 The final item in the box is the Revlon Mascara Dramatic Definition. I was keen to get my hands on this and try it out. It is great to receive the full sized product in my subscription box as the mascara is currently £9.99 at Boots! 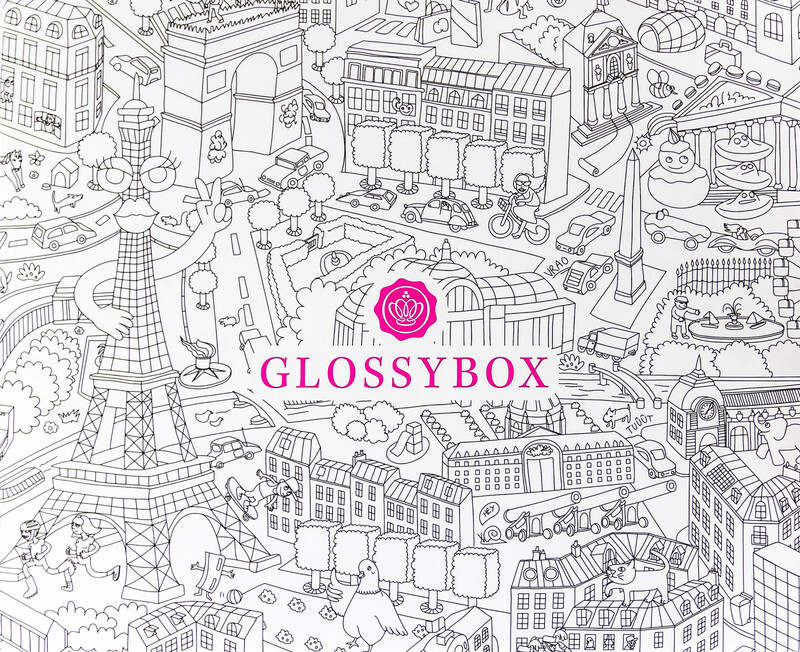 This Glossybox UK May 2016 box was definitely fantastic value for money. A pretty packed box with some items I am sure to love and get a lot of use out of. There are a few items that probably aren’t for me, but you find that with subscription boxes and I can always share those out. 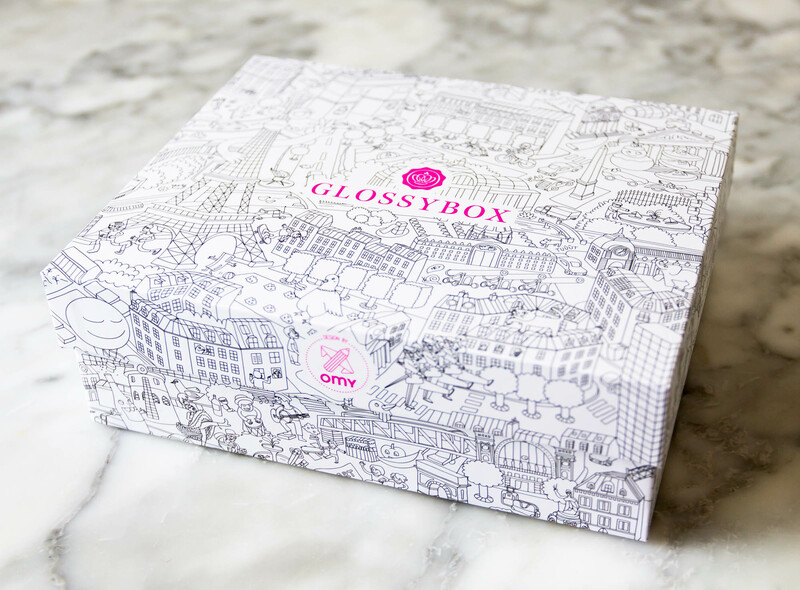 You can catch up on previous Glossybox subscription posts here.